The Dino Icardi Path: the beauty of the Castello-Provenzale mountain peaks and of the Stroppia waterfall makes the Chambeyron mountain one of the major alpine and excursion attractions of all south Cozie Alps. This ring track skirts the great Stroppia waterfall (roaring till the end of August) and reaches its source, the Niera lake. Together with the Maira sources, the Stroppia waterfall area has been recognized at national and local level for its natural importance and landscape beauty. The 9 colours lake. The Niera lake is a wonderful destination for a nice trekking tour. For a more challenging hiking experience, the rugged and wild landscape of the rubble-like Vallonasso di Stroppia valley is the ideal choice. Although the Vallonasso lake and the Barenghi camping invite visitors for a stopover, it’s highly advisable to make a last effort and reach the Gippiera Pass, over which the steep faces of the Aiguille de Chambeyron reflect themselves awe-inspiringly in the 9 colours lake. Go trekking with donkeys it’s a slow alternative against the culture of “speed”; it allows adults and children to get to know the mountain landscape together with these wonderful and sweet animals. You won’t ride them but they’ll carry your lunch bag with them and, in case of longer excursions, they’ll carry also the baggage with all equipments (activity organized upon reservation). 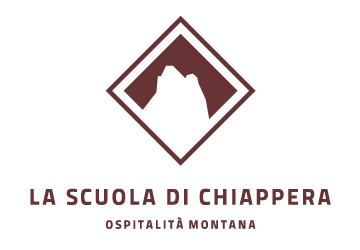 From Chiappera to Colletta and Rui Pass; from Chiappera to Greguri Pass (Provenzale – Rocca Castello Pass); from Chiappera to Bellino Pass (Mongioia/Rubren Pass); from Chiappera to Maurin Pass (Chambeyron Tour); from Chiappera to Stroppia Hut, to Bivacco Barenghi, to Gipiera Pass, to 9 “Couloirs” Lake; from Chiappera to Sautron Pass; from Chiappera to the Maira river springs: the Roberto Frassati Path; the Dino Icardi Path; the Roberto Cavallero Path.